Thomas A. Edison once rightly said, “There is no substitute for hard work.” To achieve something one must always be ready to work for it, even if they are Olympiads. 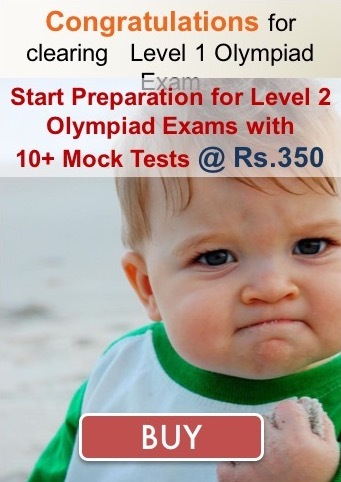 Olympiads are a great way for a student to learn to prepare themselves for the forthcoming challenging competitive exams they may appear for. These exams not only help in building a student’s confidence but also help him/her in testing their own ability and allow them to self-evaluate. Almost every student appears for at least one Olympiad in their school lives these days, but it should not just be a shot in the dark. Here is how you can prepare for them and give it your best shot. When you’re preparing for an Olympiad it is necessary that you research about the exam itself. From the number of questions to the format of the questionnaire, you should ensure you are aware of all the relevant facts. This not only helps you when you are appearing for the paper but also when you’re preparing for it. The next step is to make yourself familiar with the syllabus. The syllabi for the exams are always available on the websites of the exam, which you should check out before you begin preparing. Knowing the syllabus means you know what areas of knowledge and which topics need your attention and focus. The questions in Olympiads are of varying levels of difficulty. They’re used to test the observation skills and the logical ability of the students. Thus, having a fair knowledge about the weightage of various topics and the difficulty level of the questions helps one immensely in their preparation. As much as having a basic knowledge of the concept helps, it is advisable that one studies as much as they can. Therefore it is important that you thoroughly go through your school books. Also, apart from the books of your school curriculum, you should try reading NCERT or similar books of one grade higher to get an understanding of some advanced concepts. To efficiently prepare for an Olympiad, just studying is not enough. A student should try to get their hands on as many sample papers and previous years’ question papers as they can and attempt to solve them. Doing this assists the student in getting a better idea of the kind of questions that he/she is most likely to face, and the constant evaluation also helps build up their confidence and skill. Very often students are mislead by the notion that if they dedicate a whole week just before their exams for preparation then they can clear it. It certainly might work for some but it is not a very good idea. One should start preparing for their exam as soon as they can. A little practice goes a long way and clears their doubts before time too. Concentrating all the required efforts in short periods of time may be exhausting and stressful, and can affect a student’s performance adversely. And the last but not the least thing to keep in mind is to be confident of yourself. As much as Olympiads matter, you should remember that you don’t stress yourself over them too much, and in retrospect don’t take them lightly either. If you dedicate yourself and work hard then success is assured.